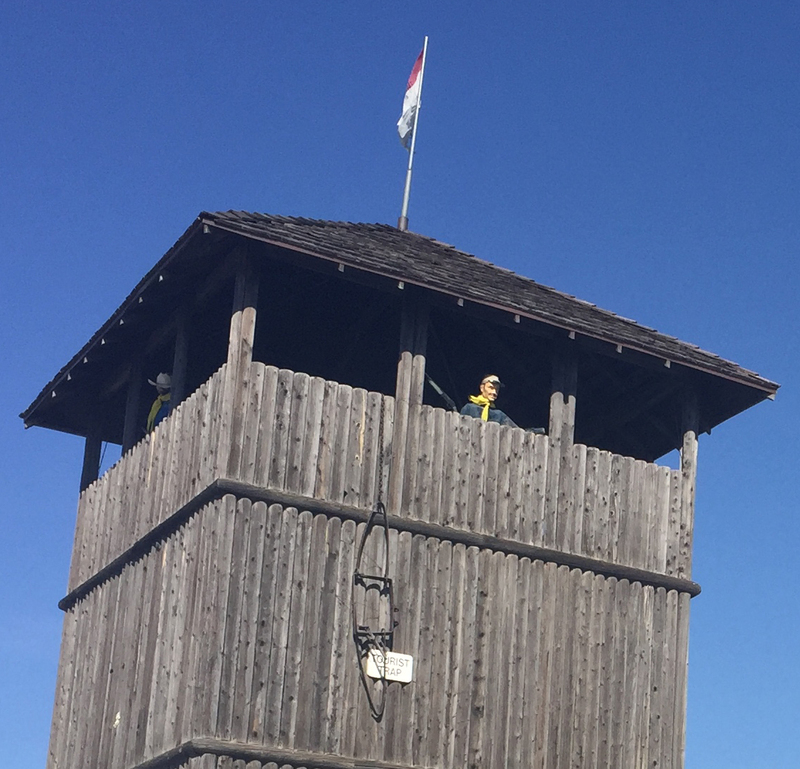 Fort Cody Trading Post is a tourist trap and proud of it! Please do not crack the whips.. 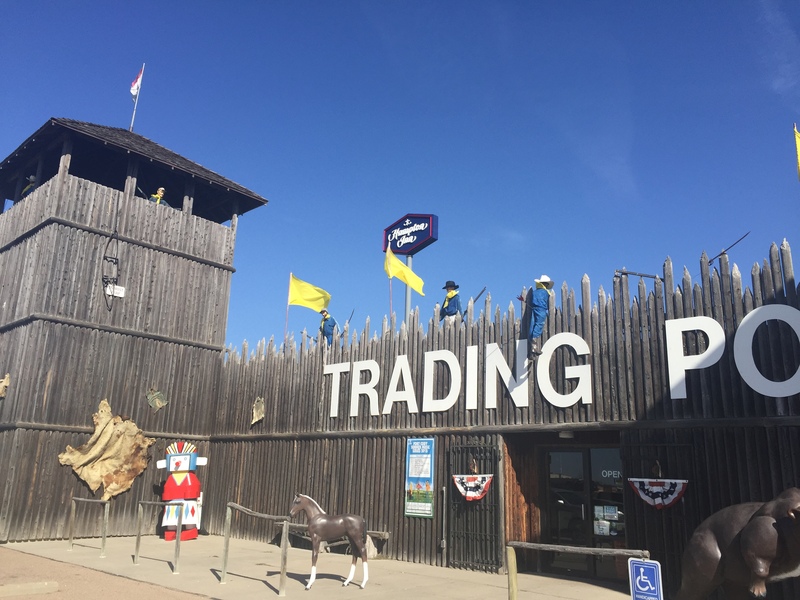 The Fort Cody Trading Post advertises itself as a free museum, and it is, if you can get out the door without buying something at their massive gift shop. Personally, I’d kick myself if I didn’t buy something. When it comes to Western souvenirs, they’ve got everything, from cowboy gear to plush buffaloes, Jackelope statues, toy animals, and tons of clothing for all sizes and ages. They even sell whips, with the requisite warning sign not to crack them in the store. Of course we had to ask how often people do, and the sales clerk rolled her eyes and said “all the time “. The back portion of the Fort Cody building (they’re sneaky like that, you have to go through the gift shop first) contains a small but impressive museum devoted to Buffalo Bill Cody. 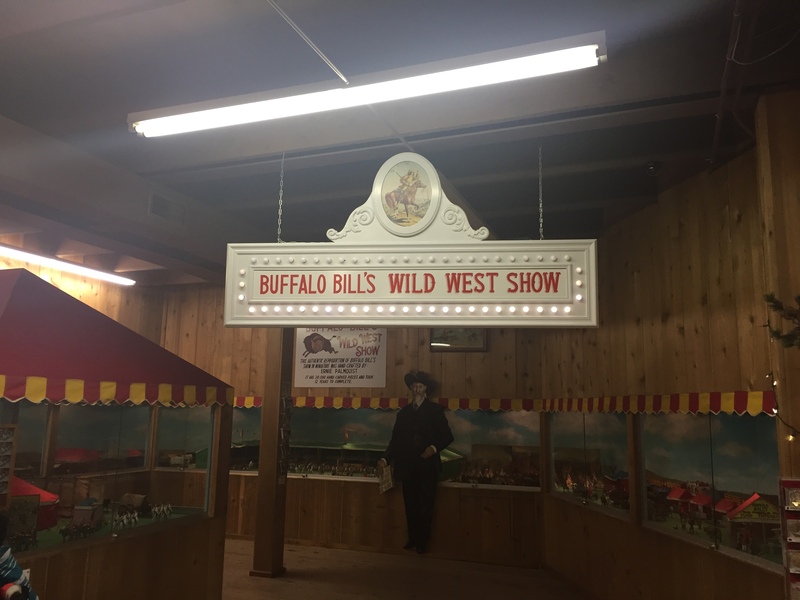 Its centerpiece is the spectacular Buffalo Bill’s Miniature Wild West Show, featuring over 20,000 figures painstakingly hand carved in wood by Ernie and Virginia Palmquist. Many of the figures are animated — there’s a train that runs around the circus tents, and animated bucking broncos, sharpshooters, and more. Recorded audio narration tells the story of Buffalo Bill, his traveling Wild West show, and the creation of the miniatures. The show runs for about five minutes every 30 minutes, so if you missed something, you can wait around, and shop of course, and it will replay. There’s more to see at the Fort Cody Trading Post museum than just the miniatures. 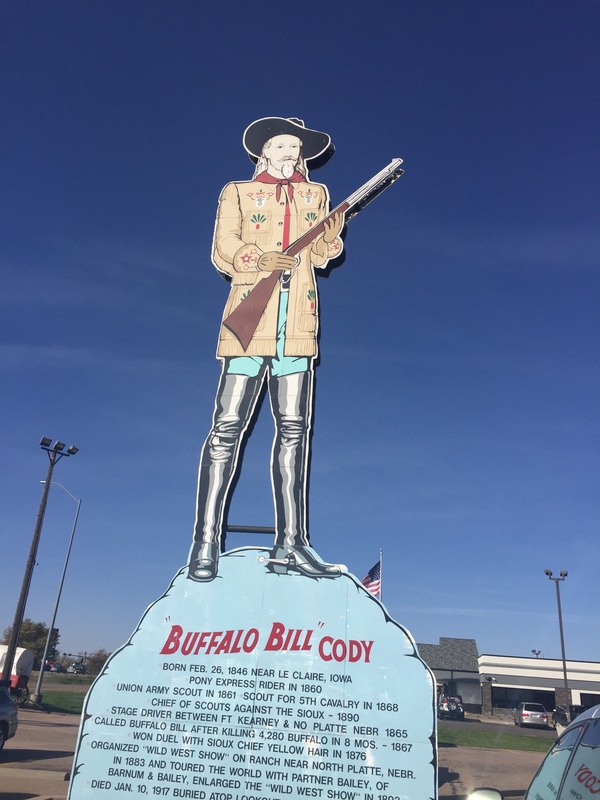 They have actual costumes and guns used by Buffalo Bill and Annie Oakley, and another smaller miniature depicting Native Americans entertaining travelers at Fort Cody’s original incarnation, the Sioux Trading Post, in the 1950s. 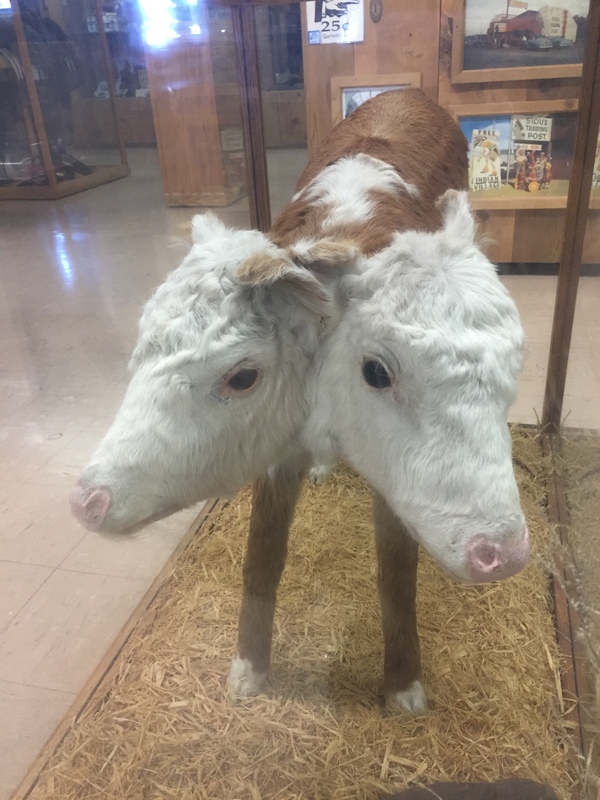 Last but not least is the piece de resistance, a two-headed calf. He’s adorable. Even Aria, who usually flees from mounted creatures of all sizes, liked him. I first visited in 2010 and fell in love with the two headed calf. I’ve wanted one ever since, but sadly the folks over at Obscura say that they cost $5000 or more (I actually asked Evan about it when I visited their store a few years ago.) So unless I win the lottery, I’ll just have to visit Fort Cody Trading Post to visit my buddy. Yes, most people would spend their lottery winnings on fancy cars and a boat. Me, I’d buy a two headed cow. No visit to Fort Cody Trading Post is complete without exploring the backyard, a sight I had sadly overlooked on my previous visit. 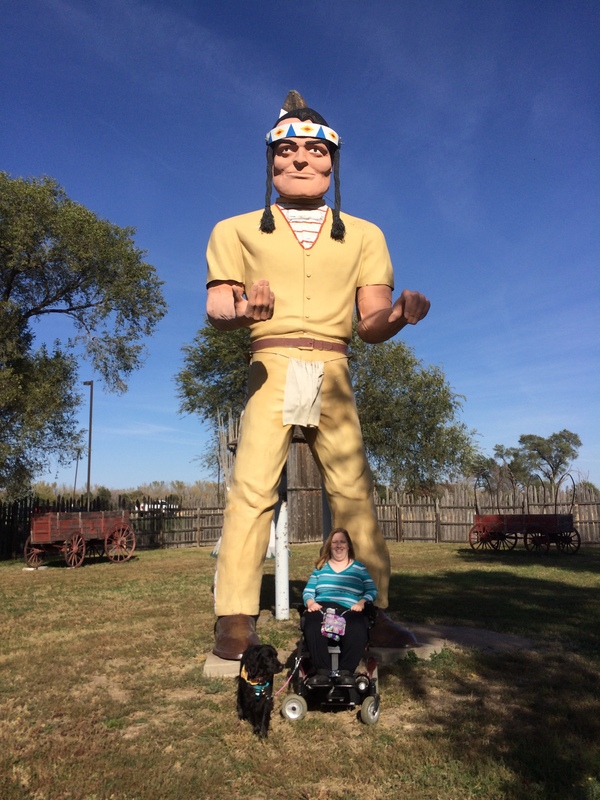 Toss aside your notions of political correctness for a moment and take a picture with the giant Indian muffler man. He’s so literally over the top, what’s not to love? Needless to say, I left Fort Cody Trading Post with an assortment of fabulous souvenirs, including a magnet of my two-headed cow for the refrigerator, and a wealth of great photos and mediocre video. I should’ve covered the red light on my camera before trying to film things in glass cases. But, I’m sharing it with you anyway. I hope you enjoy it, and please be sure to visit Fort Cody. It’s a worthwhile stop on the I-80. 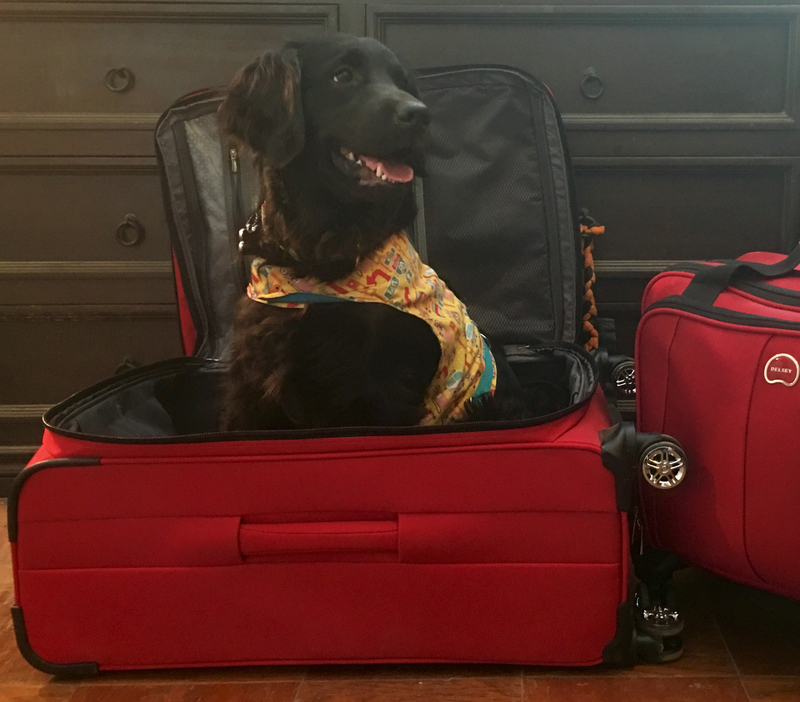 Happy Road Tripping! Fort Cody Trading Post is wheelchair accessible. Although the gift store has a huge amount of merchandise, I had no problem getting up and down the aisles. They did a great job of keeping things organized. The museum is easy to navigate. There is a small drop of an inch or two at the door to the backyard area where the Indian muffler man and old wagons are located. I was able to get outside with a bit of help from my travel companion. I did not attempt to use the restroom, so can’t comment on whether or not it’s accessible. Aria was welcomed and treated appropriately by the staff. There are some mounted animal heads on the walls, and the two headed calf in a glass case, but she wasn’t bothered by any of them. Since the store was well organized, I wasn’t worried about her bumping into items in the aisles as I might be with a more crowded store.